See my short video review of my piece of Shooting Stars soap that i bought from Lush.co.uk. I bought a 500g piece the day it came up on the website. I think i paid 19.00 for it or something close to that. For 5 pieces of soap (same wight as). Have you seen the price of soap in the U.S. lately? I LOVE that Lush did something they’ve never done and used starfruit in this soap. Hence the name. It has a fruity scent all it’s own. Right on Lush! 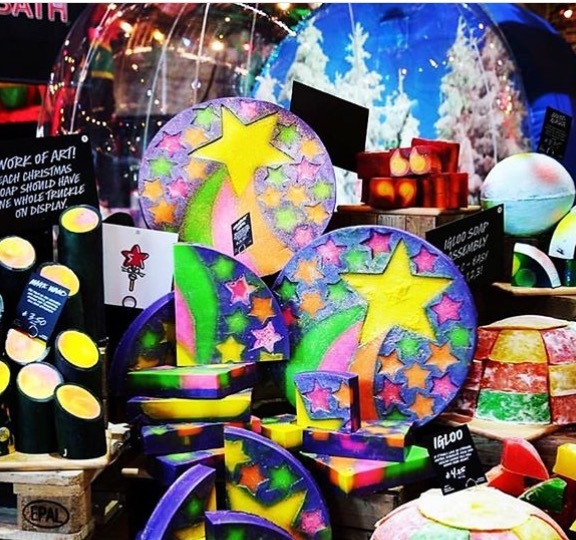 Posted on November 13, 2016 by Lushalot	• This entry was posted in Christmas 2016, limited edition, Soaps and tagged lush christmas 2016 soap, lush shooting stars soap, shooting stars soap. Bookmark the permalink.